Snapping aesthetic selfies is an art form in itself these days – but now researchers from the University of Waterloo are trying to turn this art into a science. 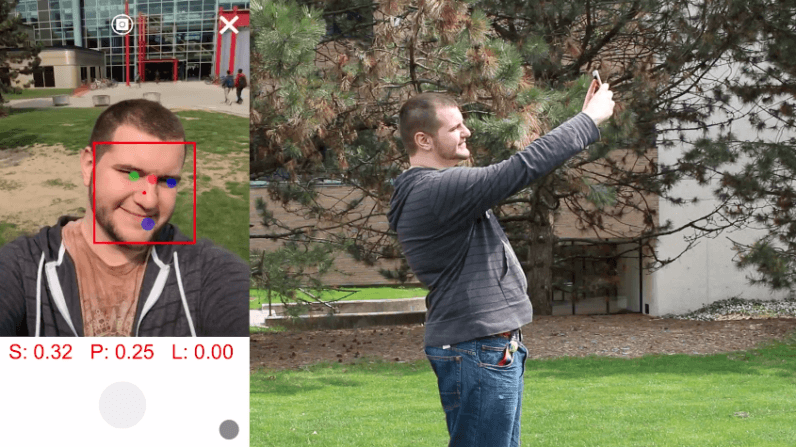 Computer science professor Daniel Vogel and his former student Qifan Li teamed up to develop an app that offers tips to people on how to take the perfect selfie. To accomplish this result, the researchers designed an algorithm that gives users directions on how to find decent angles for their selfies. The algorithm was fed with numerous 3D digital scans of “average” looking people. Vogel and Li also wrote a custom script to automatically capture hundreds of “virtual selfies” from various angles, light directions and face positions. The researchers then loaded the images on Amazon’s Mechanical Turk where thousands of people voted which virtual selfies looked best – and why. The insights were later mathematically modelled to develop the algorithm for the app. Once the they had the algorithm down pat, Vogel and Li invited real people to take a bunch of selfies using a standard camera app and an improvised app powered by their algorithm. Following their experiment, the researchers discovered that photos taken with their own app bred a 26-percent improvement in selfie ratings. For more details on how to snap awesome selfies, see the full research here.